First things first! We will help you with all your questions concerning your home-site. We will make an appointment to look at your location and show you what needs to be done and how your home will look sited on your lot. Next comes the basic inspection and preparation of your home. Our service coordinator is here to make sure everything is to your satisfaction, and your home is installed as scheduled. Once your home is on site, we will make sure the final construction of your home is done properly. We guarantee in writing that your home will be installed according to the manufacturer's guidelines. This provides you with a strong, safe foundation for your home. We use the quality "Water Leveling System" to insure proper installation of your home. Once your home has the initial installation completed, we will begin our "Today Homes Quality Check". Our foreman will review all items on our factory check list to assure that all components are in good working order. You, the homeowner, will review each item to make sure it is correct. If you are happy, then we are happy! We have been offering friendly service to our customers since 1971. We only deal with top quality factories which meet our expectations when it comes to warranty service. Our full time service coordinator will assist you should the need arise for warranty work. The perfect starter home for a family. 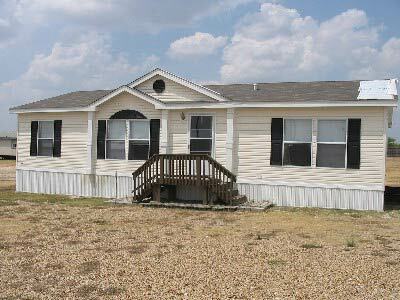 It has three bedrooms and two baths with a spacious living and dining area. A great home with family pricing. 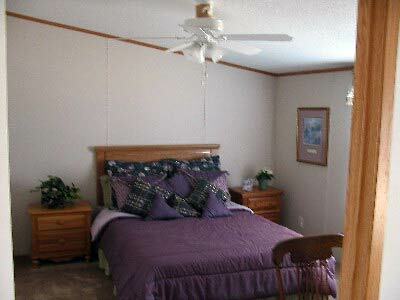 Large master bedroom with ceiling fan and lots of natural light. 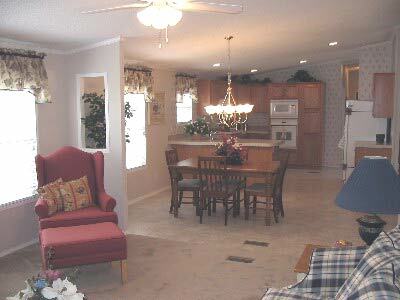 Kitchen and living area are open to give home a spacious feeling. Great for family and friends! View from kitchen utility area looking into the living space! Beautiful kitchen living room combination with a hidden utility room! 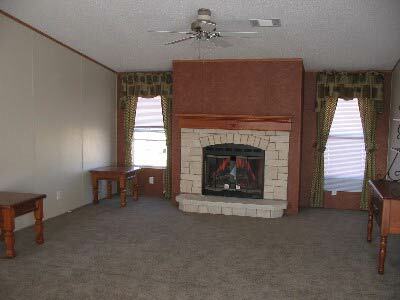 One great room with the Austin Stone fireplace for the best family room ever! View of kitchen and sunfilled breakfast area. 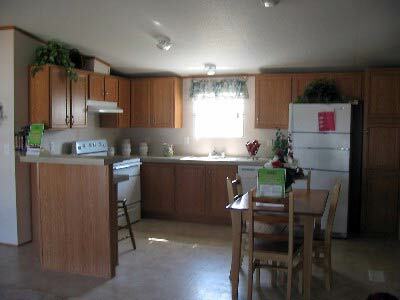 This is a great designed work area in the kitchen and a great place to enjoy breakfast or any meal with your family. 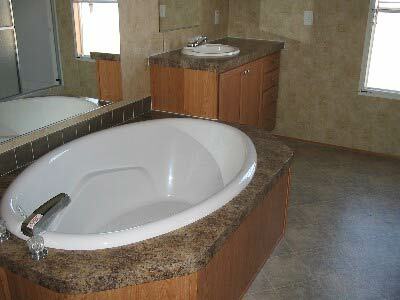 Beautiful oval tub with separate shower. A great place to relax and get away from all the stress of life! 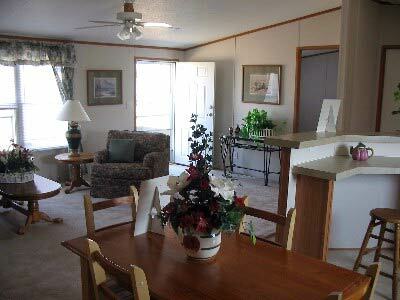 Home has fireplace and all appliances including washer and dryer. 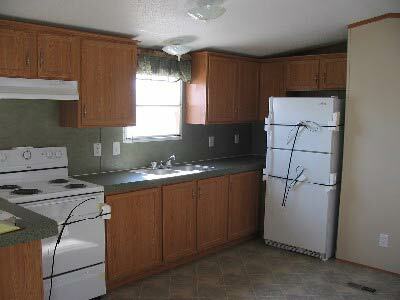 Microwave, side-by-side refrigerator, dlx range, and washer and dryer all included. Also shown is center island for convenience. 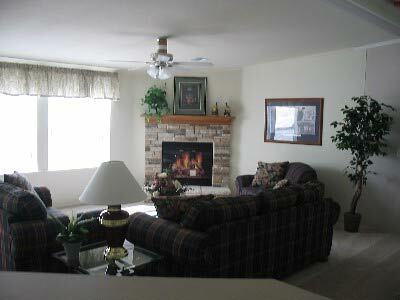 Rock fireplace is included in this spacious living area. View of kitchen breakfast area. Cozy area with lots of light! View of living space in this cute starter home. Plenty of space for all the furniture a small family would have. All this room and budget payments too! 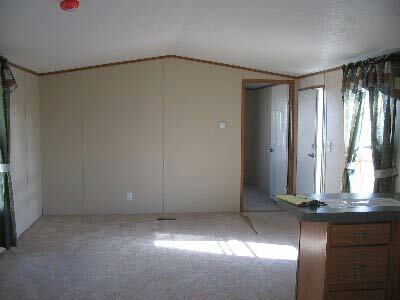 Easy work space and close to utility room on one side and dining room on the other. The exterior has vinyl siding, shutters, and a shingle roof. This home is loaded!! Two living areas. Living room has an Austin Stone fireplace. 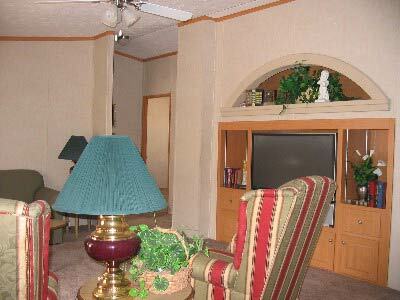 The Family room has a "Big Screen TV' with surround sound and a fireplace. There is a "hobby room" off of the utility room. 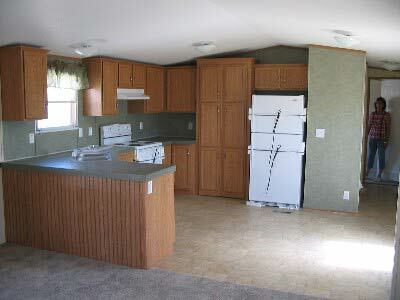 The kitchen is open, lots of storage. In the hall, there is a computer desk. The master bedroom has his and her closets. 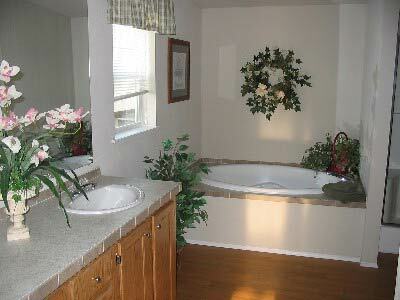 The master bathroom has his and her sinks, a glamour tub, and a separate shower. The exterior has vinyl siding, shutters, and a shingle roof. Utility room comes with washer / dryer. Vinyl siding, shutters, and shingle roof. A great starter home! The living room is open with a ceiling fan. There is a stone pas through bar to the awesome kitchen. 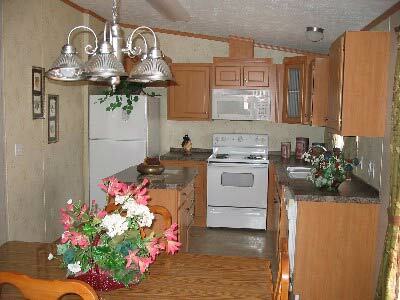 Kitchen has a stainless steel sink and all the appliances. 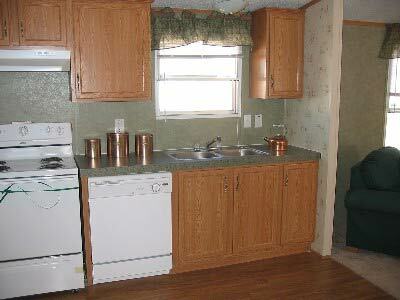 The utility room comes with a washer and dryer. In the hall is a computer desk. The master bedroom has a walk-in closet. The master bathroom has a tub/shower combination. The exterior has vinyl siding, shutters, and a shingle roof. Front door view showing Double Dormer and Columns on home. 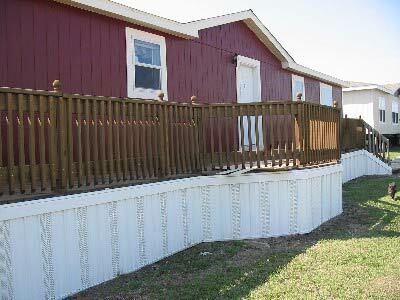 Deck and skirting are included with home. 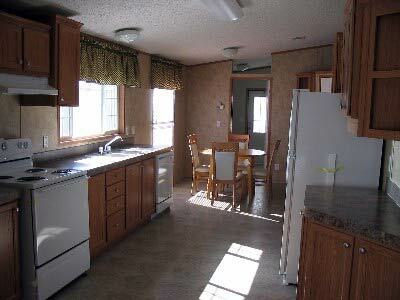 Breakfast area, and fully equipped kitchen. 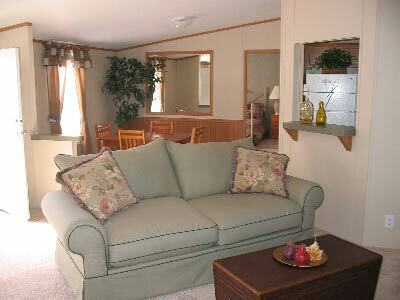 Spacious living room with a big screen TV and built-in entertainment center for the entire family to enjoy. 2 inch blinds throughout home. 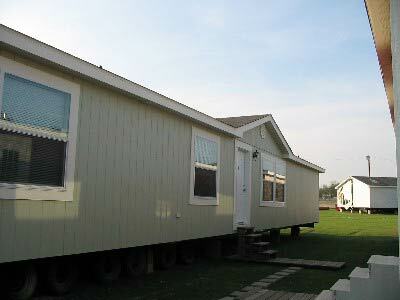 The exterior has vinyl siding, shutters, and shingle roof. The living room has a wood burning fireplace. 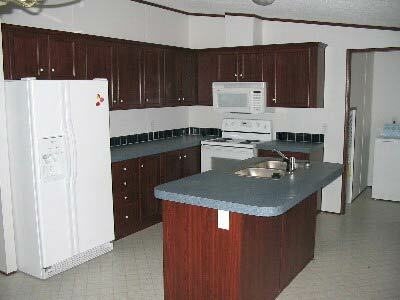 The kitchen has all the appliances. The dining room has a built-in hutch. The master bathroom has a walk-in closet, a glamour tub, and a separate shower. 2 inch blinds throughout the home. 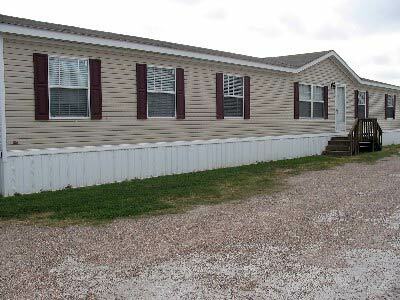 The exterior has vinyl siding, shutters, and shingle roof. Vinyl siding and shutters and a shingle roof. This home is awesome! 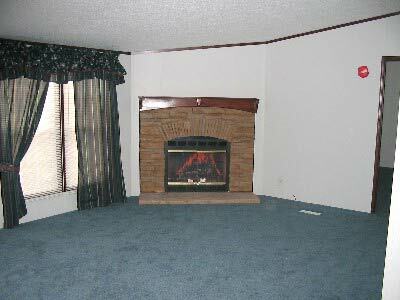 Living room has a wood burning fireplace with a "Flat Screen TV' built in above. 2 inch blinds throughout. 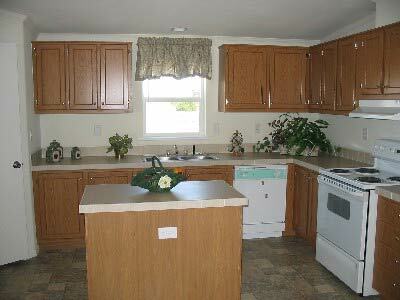 Kitchen has black appliances deluxe package, lots of storage, has an island, and stainless steel sink. The utility room includes washer / dryer. Master bedroom has his and her closets. The bathroom has glamour tub and a separate shower. In the hall, there is a built-in computer desk / work station. Exterior vinyl siding and shutters, shingle roof.